Happy New Year, friends! You’ve probably made a resolution or two for 2016. You’re not alone—an estimated 45% of Americans make resolutions every year. But did you know that 1 in 3 people ditch their resolutions by the end of January? Yikes. Part of that reason is that people love the idea of starting fresh, but rarely commit to actually following through with the resolutions they’ve made. Making a resolution to overcome bad habits (or develop good ones) takes time, effort, and sacrifice…things most people don’t understand that reality of. Two of the major resolutions that people make are losing weight and eating healthier, which go hand-in-hand, wouldn’t you say? 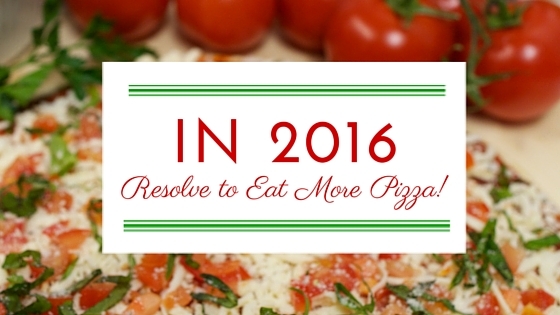 If this sounds like your resolution, believe it or not, Dogtown Pizza can help you keep you resolutions! While the science of eating pizza to lose weight is inconclusive (we’re hoping that scientists make a break-through on that soon! ), it is possible to to make healthier choices and enjoy the deliciousness of pizza. If you’re truly committed to eating healthier, and you’re still eating pizza from “the other guys” here’s a tip: stop that right now. 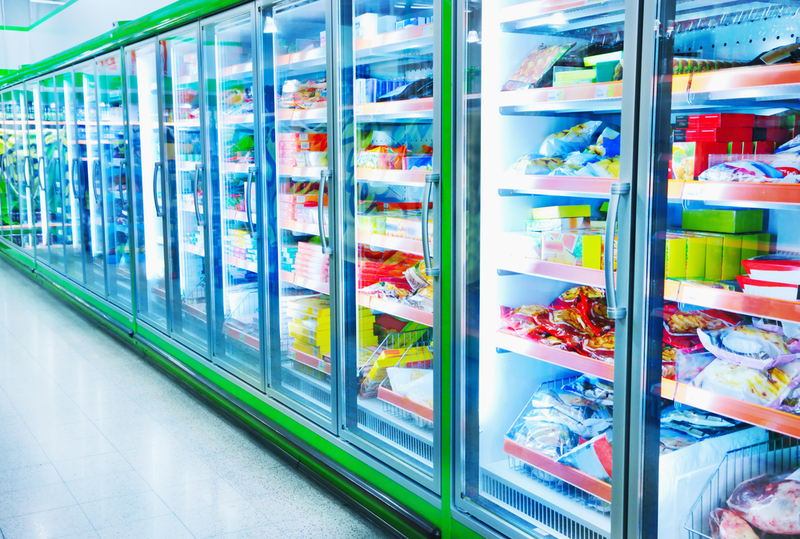 Most frozen/fast food chain pizzas are loaded with fat, sodium, and preservatives—the exact things that contribute to weight gain and a whole host of other health problems. If the typical frozen pizza has a sell by date of one year, you know you have a problem. But that doesn’t mean you should sacrifice your love of pizza completely! You can eat clean when you eat Dogtown Pizza. Our crust, sauce and cheese on all varieties are completely 100% free of MSGs, HFCS, fillers, or preservatives. Dogtown Pizza Varieties like our Tomato Basil Garlic, Veggie and Cheese pizzas are all-natural, nutritious and tasty. See for yourself. This unique, vegetarian pizza is bursting with fresh, red-ripened tomatoes spread generously edge-to-edge. With fresh-grown basil layered on top, this pizza already smells as great as it looks! We then coat those ingredients with a topping consisting of grated Romano, fresh minced garlic, sea salt and oregano. Finally, we drizzle generous amount of heart-healthy extra virgin olive oil over it. After hand-slicing and dicing, we load this vegetarian variety with fresh mushrooms, julienned green bell peppers topped with mouth-watering red onions. The combination of earthy mushrooms, sweet red onion, crunchy bell peppers over our tangy sauce and creamy cheese is enough to satisfy all veggie lovers. The basis of all our varieties, our Cheese Pizza is a true St. Louis classic. Starting off with our all-natural crust, made daily by Vitales Bakery on The Hill, we spread a generous amount of our own prepared pizza sauce. Our Pizza sauce is simple and home-made. Our 3-Cheese blend is then piled evenly on the sauce. We finish with fresh, grated Romano cheese and a dash of oregano. Flavorful, simple, clean eating. Really, shouldn’t ALL food be that way? 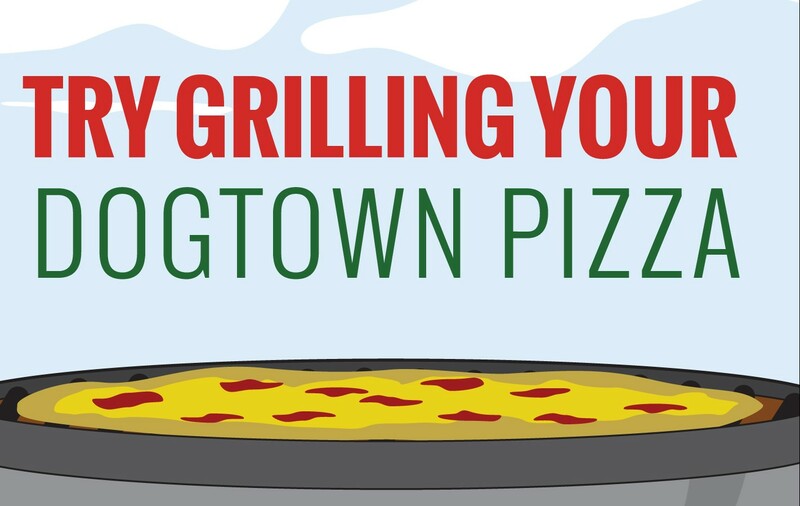 That’s what Dogtown Pizza is all about, from our family’s table to yours! We know you can stick to you resolutions! We also don’t think you should have to suffer…too much. Start slowly—the next time you’re craving pizza for dinner, swap out the usual Four-Meat or Pepperoni with Tomato Basil Garlic…and presto! You’ll have gotten a serving of veggies with your delicious pizza. Again, it’s all about making the right choices in the name of good health. 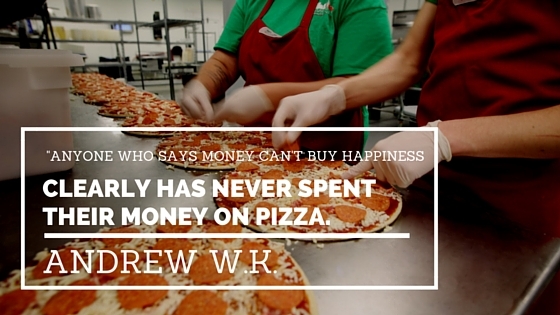 So eat more pizza and have a happy 2016! next post: We Got Hitched…to STL Up Late!